Life Hacks are those glorious little a-ha moments where you learn how to do something more quickly, efficiently, economically, etc. 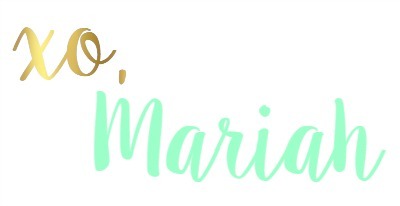 There are hundreds upon hundreds of them out there and today I've rounded up several of my favorite tried and true Beauty Hacks that make life easier and make getting out the door a lot less of a struggle! I bought a BareMinerals pressed powder foundation for dirt cheap at TJ Maxx because it had a small crack in the middle of the powder. 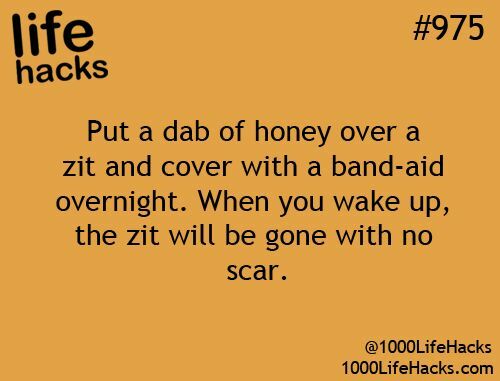 This quick and easy hack saved it and it's still going strong! I didn't use the Saran Wrap method so it wasn't smooth, but I'll definitely try that next time! 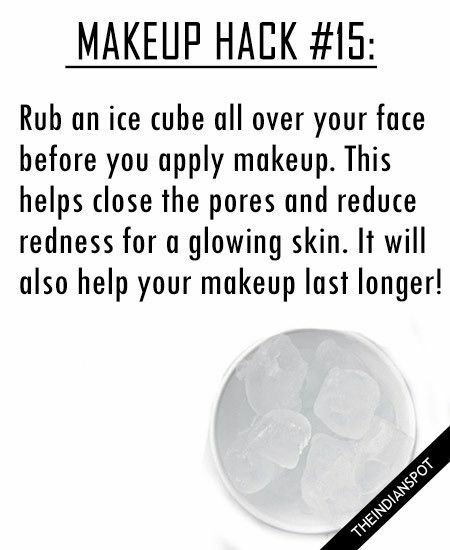 Cold water shrinks pores and is a great way to depuff those tired eyes in the morning! I love using cold water as a quick shock to my skin after using a detox mask and for sealing in conditioner in the shower! Bonus Hack: Stick a spoon in the fridge overnight and press it gently under your eyes to perk up those peepers if you're prone to puffiness! This is another hack I've stood by for years! 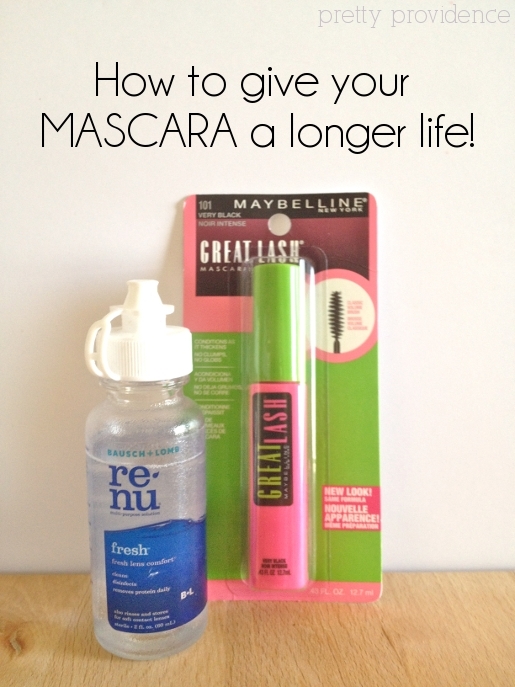 It totally doubles the life of my mascara! But if you're prone to bacterial infections skip this one and chuck your old tube at the expiration date. 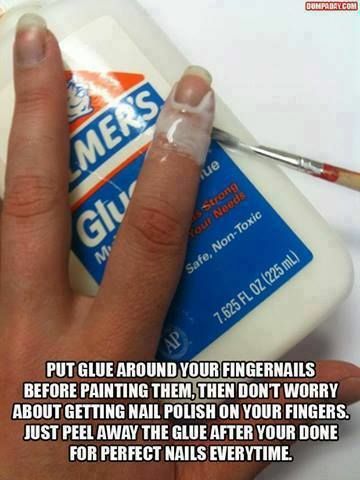 I love this hack because I am a sloppy manicurist and I rarely have time to be neat and tidy about it anyway! A total time saver and budget friendly, too! Okay, so I've actually never tried this. Anyone know if this works?! I'm battling a horrible hormonal breakout so I will definitely be giving this a shot. Um, how genius is this?! 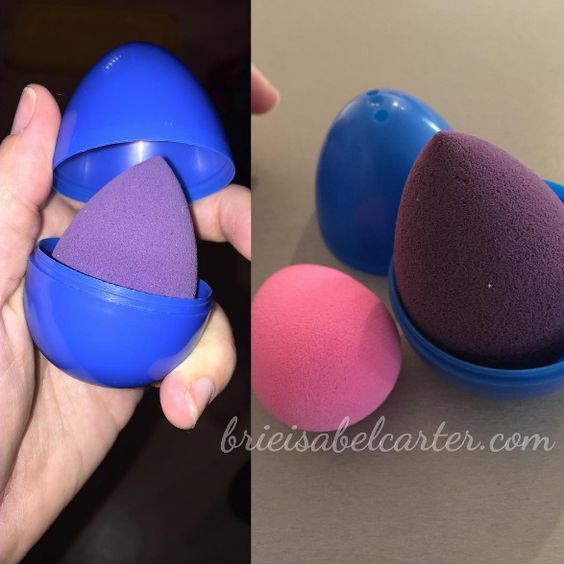 I am always travelling with my beauty blenders in tow and I hate throwing them in my makeup bag still damp! Sealing them up in a Ziploc isn't an option either (uh, mold, no thanks) so this is an amazing alternative that I can't believe I never thought of! Have you tried any of these hacks? Have any hacks I should know about? Let me know in the comments! 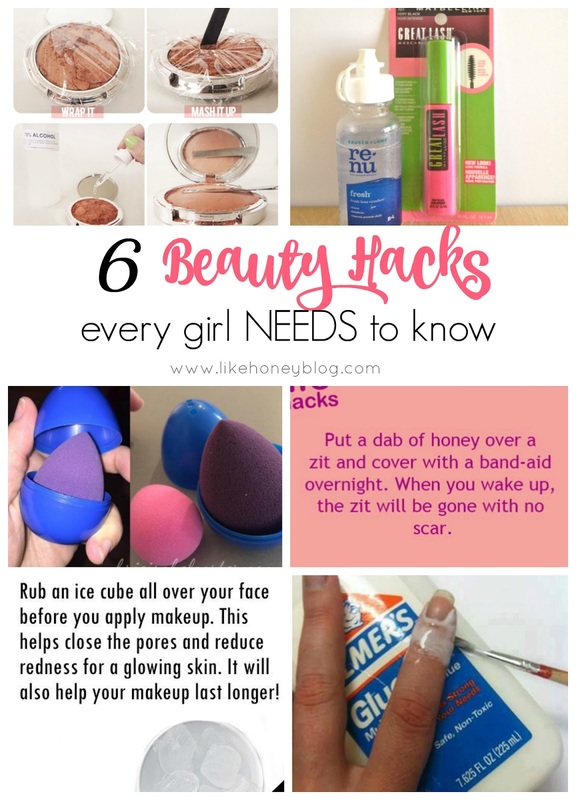 These are some great hacks! I especially like the blender one! Let me know how it goes! Mine is finally clearing up but I forgot to buy honey on my last grocery run!